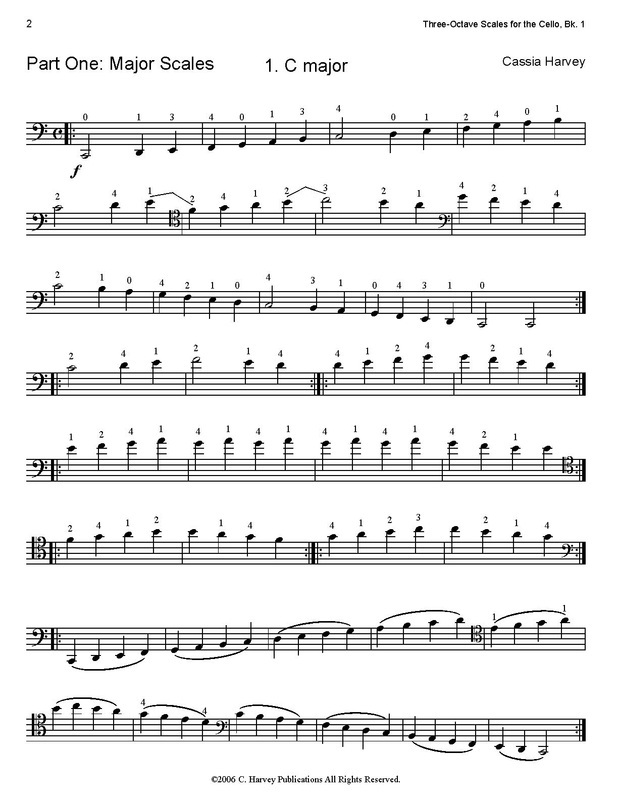 Three-Octave Scales for Cello Book One teaches the major and minor scales on the cello along with shifting exercises and studies to increase speed. The book is helpful in preparing students for auditions and for teaching precision in scale shifting. Teachers can use this book as a complete scale manual after The Two Octaves Book for Cello. This book, along with companion books Scale Studies for the Third Octave for the Cello and Arpeggio Studies in Three Octaves for the Cello, is a great staple in any intermediate or advanced cellist's practice routine.